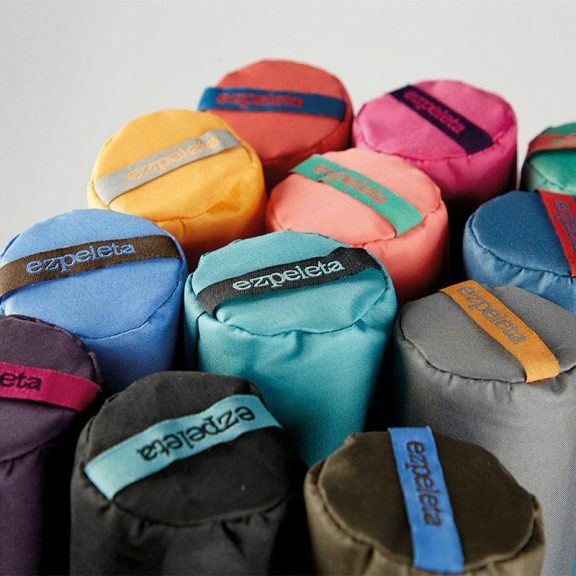 This is the Ezpeleta Fully Automatic Folding Zipped Sleeve Umbrella. Pretty much the perfect travel umbrella. 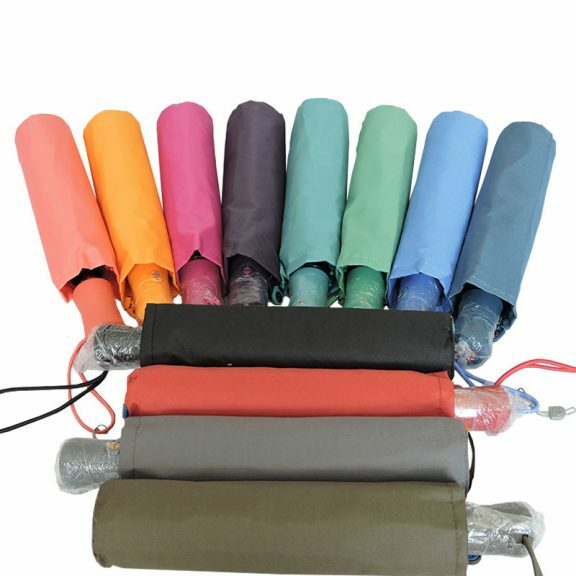 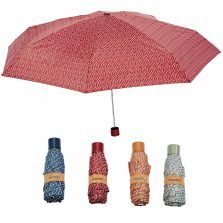 This great little brolly comes in 12 super colours: Red, Coral, Orange, Green, Air-force Blue, Fuchsia, Purple, Lavender Blue, Turquoise, Grey, Black and Dark Brown. There must be a colour to suit you amongst all these? 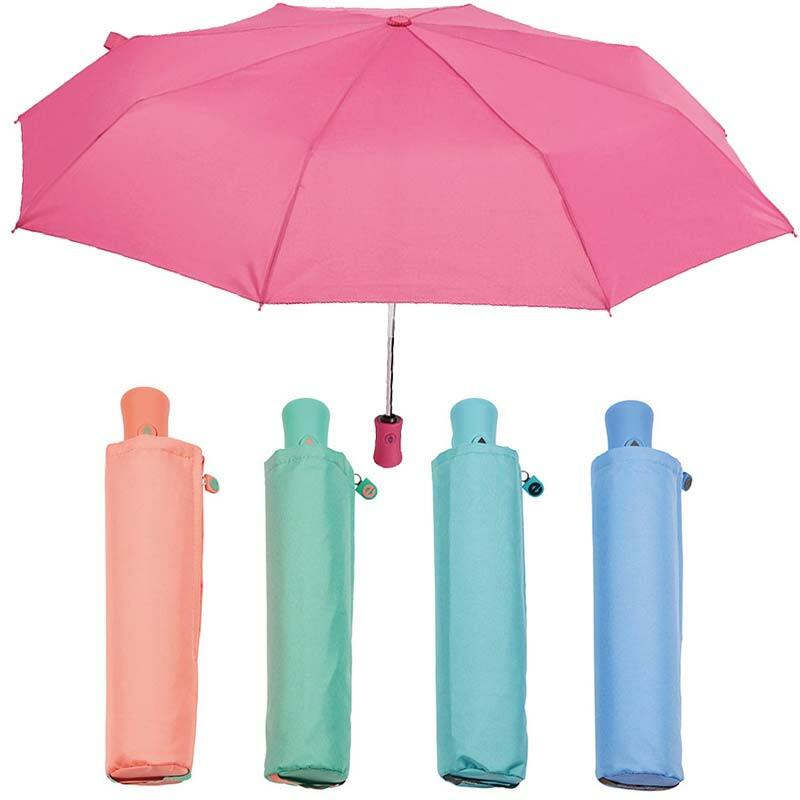 How about getting several so that you have one to match all your outfits? Pop one in your handbag, suitcase or glove box and always be ready for sudden showers. 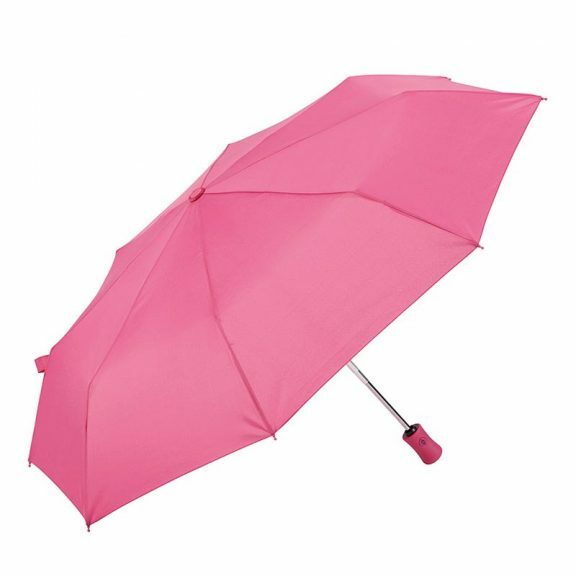 This folding umbrella has a metal frame and metal and fibreglass ribs meaning it is more flexible than your average compact umbrella. The neat handle matches the colour of the umbrella’s canopy and the auto open / close buttons can be found here. 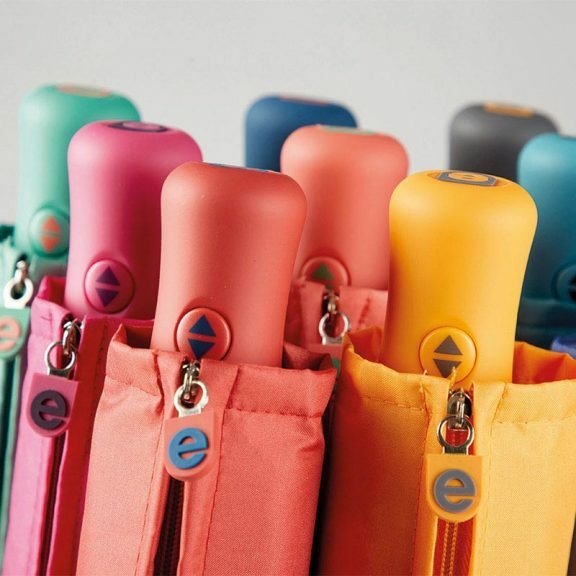 When not in use dry your umbrella thoroughly and fasten it closed with the Ezpeleta branded tie wrap and then pop it into it’s beautifully made zipped pouch. 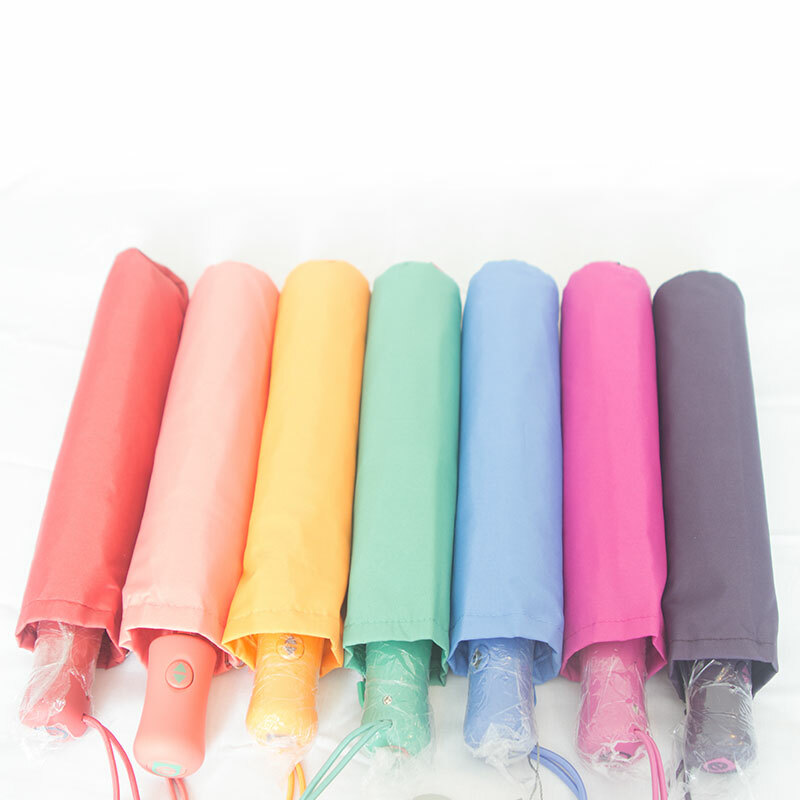 The zipper on the pouch makes it much easier to keep your umbrella neat and tidy. 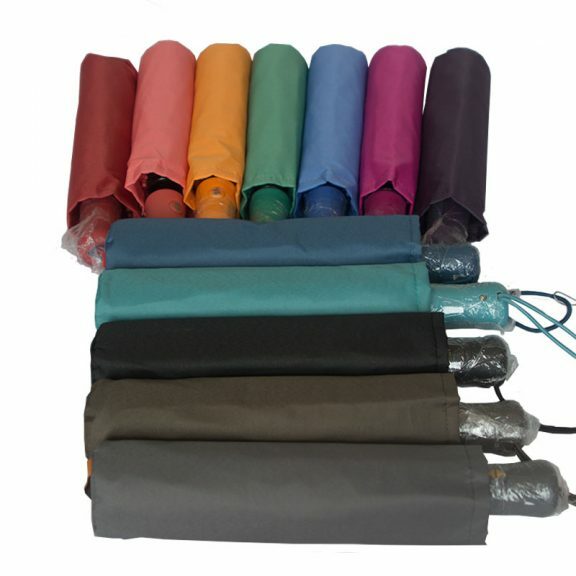 If you are looking for a folding umbrella but this is not quite what you are looking for. 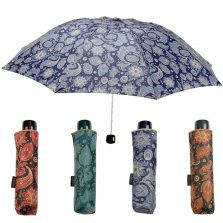 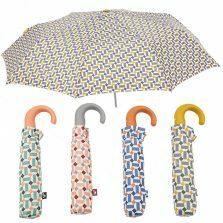 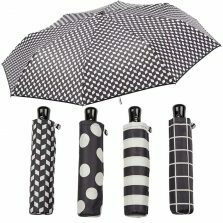 Click and check out some of our ladies compact umbrellas!